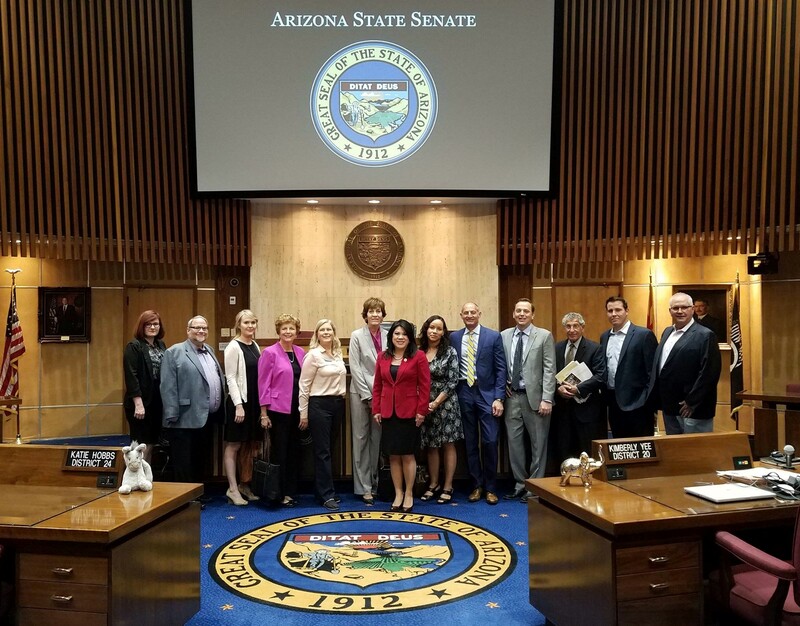 Financial literacy advocates scored key victories at the Arizona State Capitol this week, as a Mountain West Credit Union Association supported financial education bill passed the Legislature and a financial literacy resolution cleared the state Senate. On Monday, April 9, S.B. 1442, which was introduced by Arizona Senate Majority Leader Kimberly Yee, passed the legislature with overwhelming bipartisan support and was sent to the Governor. The bill would allow a school district to require students to pass a personal finance class in order to graduate from high school. It also directs the State Board of Education to create a program that will recognize students that graduate high school with a high level of proficiency in personal finance. “I have long been a supporter of financial education in our schools. Since most schools offer personal finance courses as elective rather than required, I sponsored S.B. 1442 to encourage more students to graduate with these basic financial management skills and be recognized for financial literacy on their high school diplomas” said Senate Majority Leader Kimberly Yee (R-Phoenix). “Because of the Senator Yee’s leadership, S.B. 1442 will teach more students in Arizona to become better stewards of their own finance. We applaud the Senator’s longtime commitment toward financial literacy and the Mountain West Credit Union Association was proud to support the bill” said Austin De Bey, VP of Legislative Affairs for the Mountain West Credit Union Association. In addition, Senator Yee introduced and read S.C.R. 1024 on the Senate floor to proclaim that the Arizona Legislature is committed to increasing financial education and personal financial management for individuals in various life stages as well as recognize all organizations in Arizona that promote financial literacy. During the reading of the resolution, Senator Yee publicly acknowledged credit unions as being among the important groups that are committed to financial literacy advocacy. The resolution was unanimously adopted by the Senate and sent to the House. “With this being my last year in the Senate, I proposed S.C.R. 1024 to stress the importance of providing individuals in all stages of life personal financial management skills so they can be productive members of society. The resolution also supports financial education for our students. I believe basic financial understanding of managing money gives our youth financial freedom and all people deserve financial security. I hope that even after I exit the Legislature, the work to advance financial education will continue” said Senator Yee. “Financial education is a key component to the credit union philosophy of people helping people. Credit unions in Arizona and across this country continue to help support efforts that educate citizens of all ages on the importance of financial literacy. We thank Senator Yee for making financial education a commitment in the state legislature and for recognizing the role credit unions play as financial literacy advocates” said De Bey.